There’s a lot you can do in a day when you don’t have to be at work until 5.30pm. 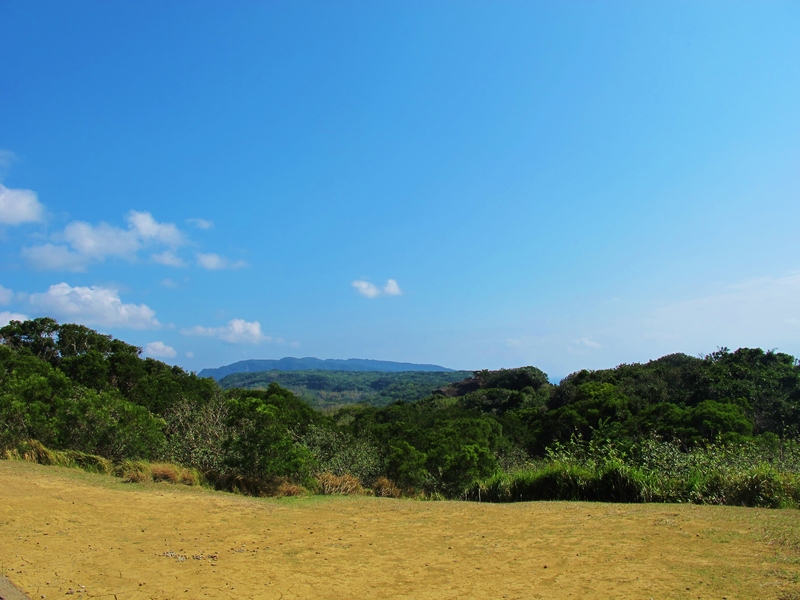 Today, I decided to go to Kenting. The weather forecast was good, and I wanted to get Taiwan Bulbul and perhaps – with luck – a few other species on the year list. I left my house in Kaohsiung at 6.00am, which was early enough to avoid the worst of the manic rush hour. If you think you’ve seen crazy driving, try hitting the southbound Highway 17 at around 7.15am – as I did on a trip to Dapeng Bay recently – neck and neck with 50,000 scooter commuters all racing to their shifts in the industrial zone. 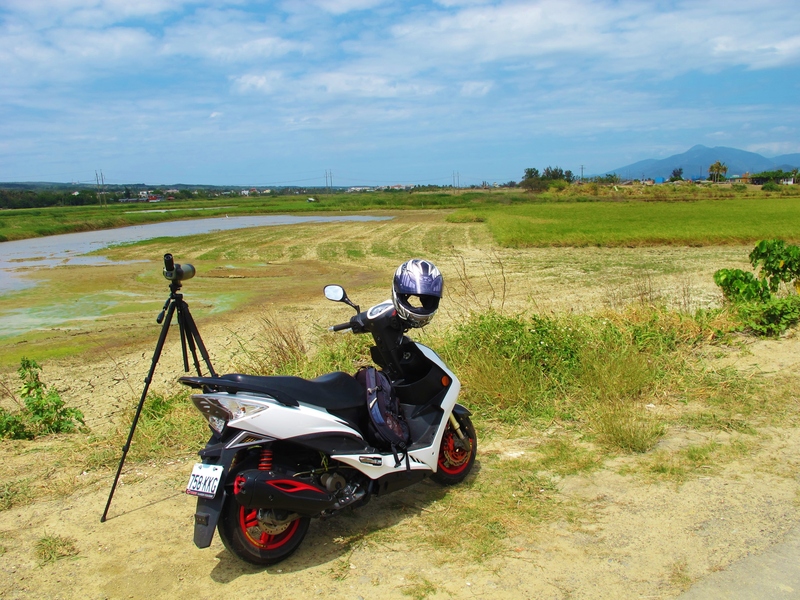 Another hazard to driving to Kenting on a lightweight scooter is the gusty crosswind along the exposed coastal road south of Fangliao, even on days when it’s calm in Kaohsiung. And it was certainly windy today. View from one of the trails in the Sheding Nature Park. My first stop was somewhere I have never visited before: Sheding Nature Park. 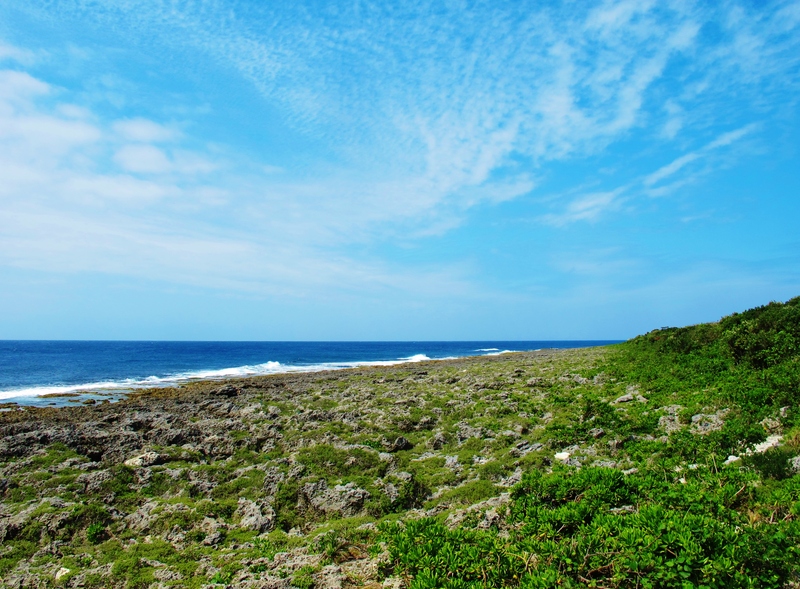 Just before Kenting town’s main strip, take a left turn through the archway, and follow the winding road uphill through attractive forested land for about 4km. The trees here resemble giant Bonsai trees, bent into shape by the almost constant winds. The nature park itself has several trails, and pavilions from which migrating raptors can be observed in spring and fall. I walked the main loop trail, hoping to see a Taiwan Green Pigeon, which is regularly recorded here. No pigeons for me today, but the walk was scenic and very enjoyable even though I saw few birds. The only semi-notable species were 4 Brown-headed Thrushes on the meadow at the entrance, a Taiwan Scimitar-Babbler, and plenty of sightings of Taiwan Bulbul. 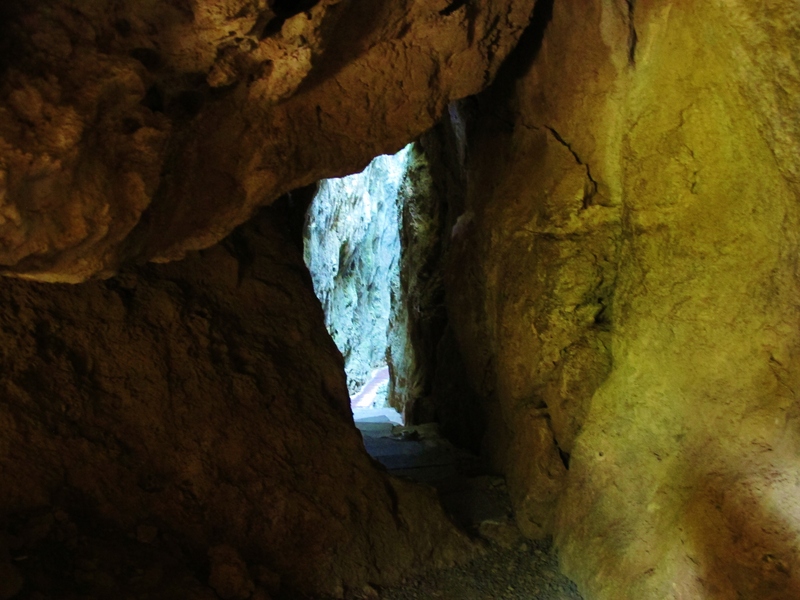 The trails at Sheding Nature Park occasionally pass through attractive limestone gorges and tunnels. My next port of call was Taiwan’s southermost point, signposted at a right hand turn just past the Eluanbi lighthouse complex. Even on a Tuesday morning there were plenty of daytrippers here, making the short walk to the point for their photo opportunity by the monument. Almost no birds showed themselves, apart from a lone Black-tailed Gull passing along the shoreline, and of course, many Taiwan Bulbuls in the bushes. 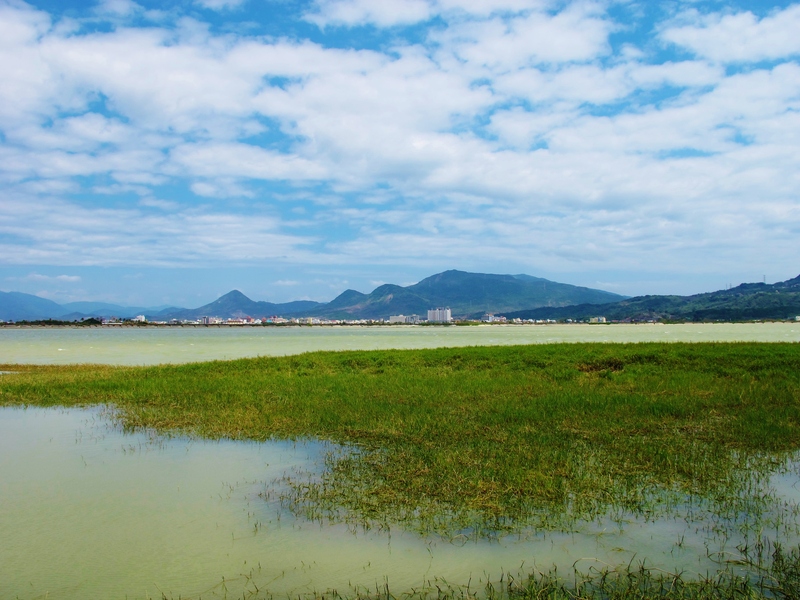 I soon got fed up with being asked to take photos of Chinese tourists, so I cut my losses and made my way to Longluan Lake, near Hengchun. 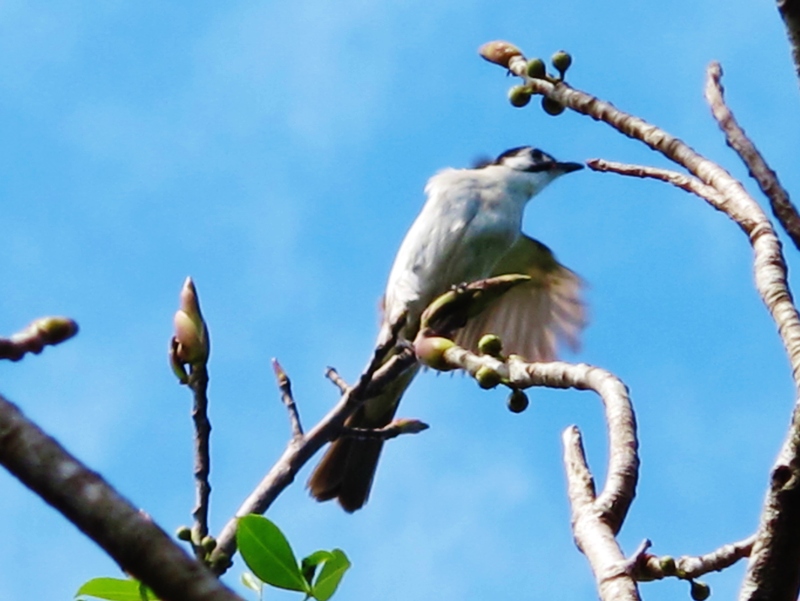 Taiwan Bulbul, Kenting, March 25th. While still abundant on the Kenting peninsula, this endemic species is seriously threatened by habitat loss, and interbreeding with the introduced – and increasing – Chinese Bulbul. I spent a couple of hours around Longluan Lake, exploring small roads and trails. I drew a blank with Taiwan Hwamei, which is regularly seen here. Quite a lot of effort produced only a Crested Serpent Eagle, 4 Tufted Ducks (year tick), 3 Indian Silverbills (year tick, introduced species in Taiwan), and a marsh that despite its promising appearance held only small numbers of ducks and waders including a drake Garganey and 3 Wood Sandpipers. Birding some marshland near Longluan Lake, which promised more birds than it delivered. By now it was starting to get seriously hot, so I headed back north. One of the best things about driving to Kenting is the excellent Three Fools cafe, on the seaward side of Highway 1 just south of Fangliao (between Km 447 and Km 448). They have good coffee, wonderful smoothies, and a cool and breezy terrace with ocean views. So I stopped for an hour here before resuming my drive back to the city.